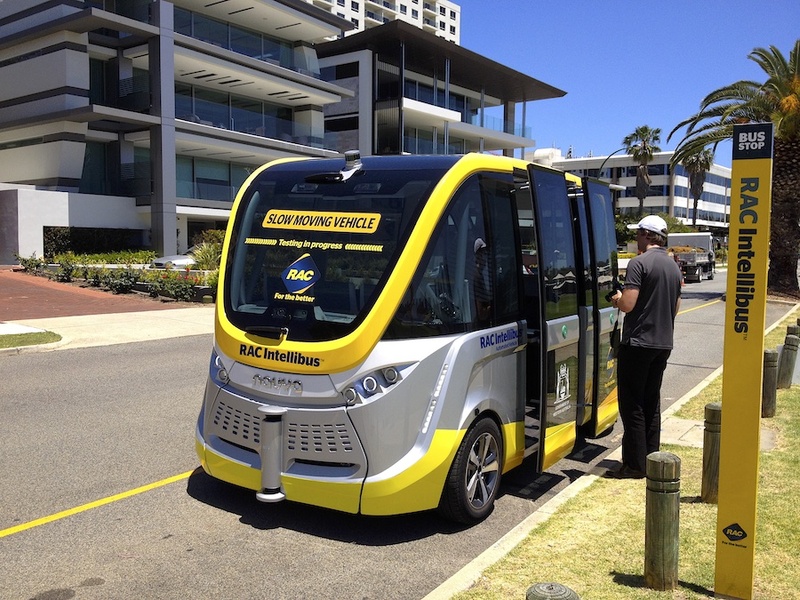 The RAC in Perth is currently conducting a trial run of an electric driverless bus, and offered members a ride on it. Grandma C and I did the ride a few weeks ago, despite Son No 1's remonstration: "What's the point? 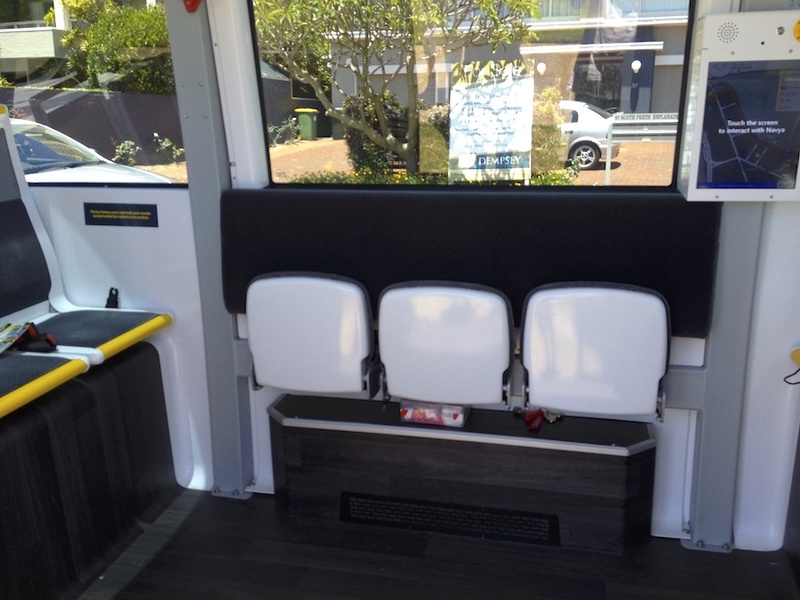 It's like riding on a bus, but much slower!" - failing to understand we're retired folk with time on our hands. 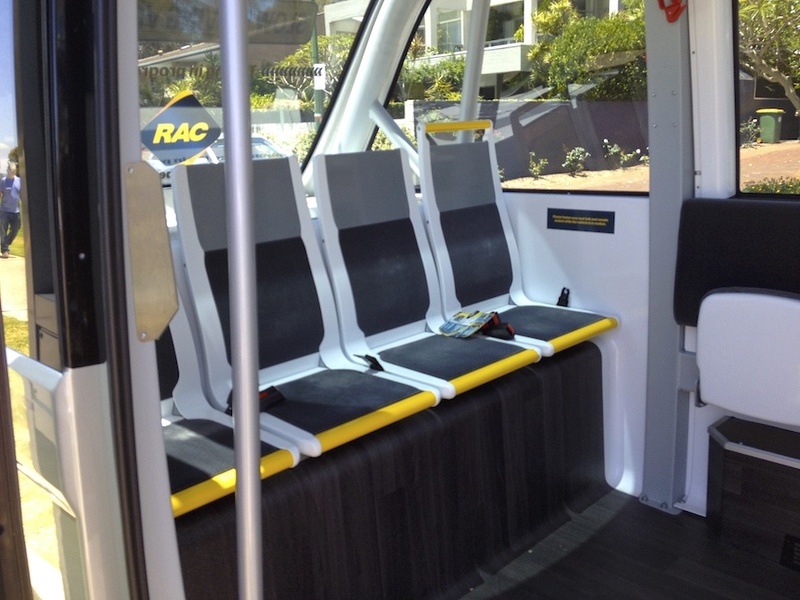 The bus is French-made by a company called Navya. 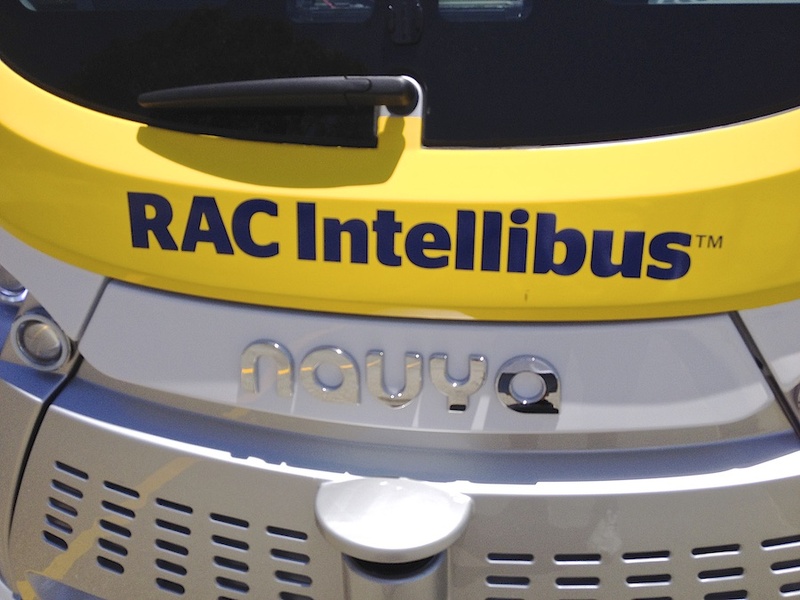 The bus also has 2 LIDAR units at the top front and rear to detect traffic and obstacles and a front camera to read street signs, traffic lights etc. 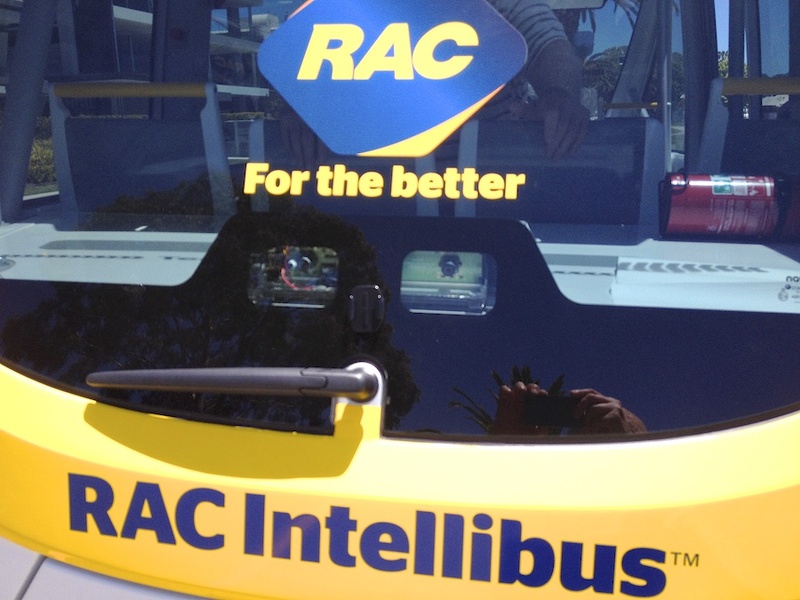 It was explained to us that the bus follows set GPS waypoints along its route, very much like a tram on invisible rails. It was also programmed to go as far left as possible, and indeed, I found it quite disconcerting as to how close to parked vehicles it went (barely 15 cm clearance!). The bus was air-conditioned, but the a/c unit wasn't up to the task, as it got really hot in there. And the day itself wasn't particularly warm, too. 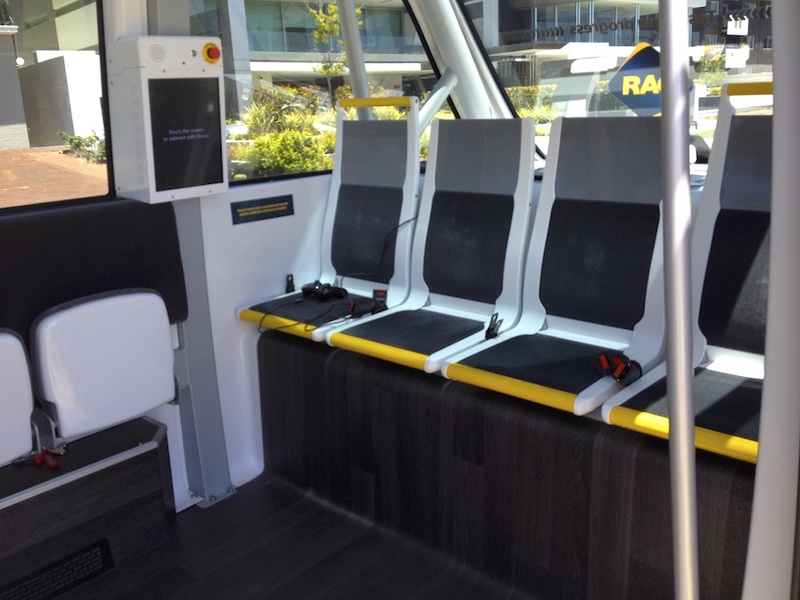 The bus has a maximum speed of 45 kph, but for this trial, it only went at 14 kph. At one point, while passing under some trees, it lost the GPS signal for a moment before regaining it, and you can then feel a sudden lurch, as it starts to stop and then re-starts. So here's a little video I took of the ride on my phone. Watch out for the cyclist overtaking the bus at the end. Very interesting, great for sight seeing. Hope they don't speed it up too much. Yes, it would be great for sight seeing! 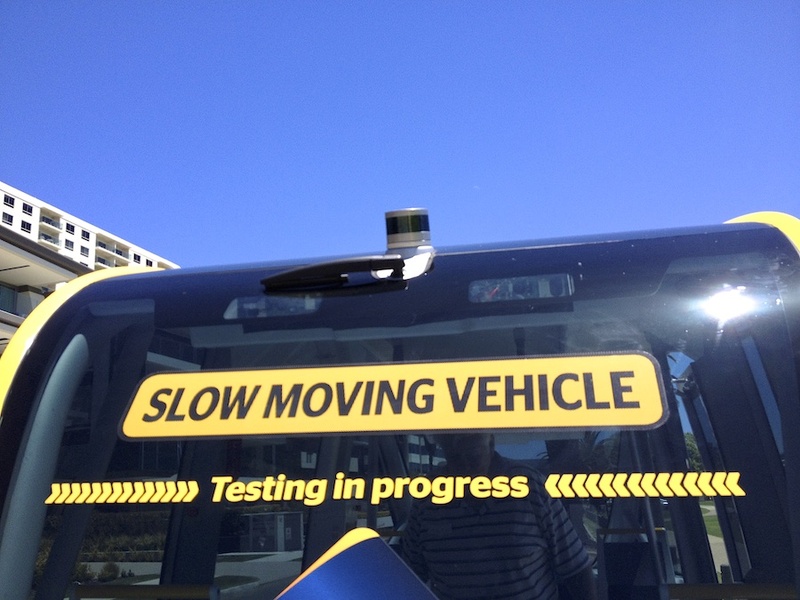 The slow speed will annoy other road users, though. Cool! If there were roof top seats, it would be ideal! Double decker with open top. Great idea for tourist! Have they used them in theme parks like Disneyland? It would be fun and impress the kids, old folks and visitors who are in no hurry. I really don't know. It could be ideal in such situations as there'd be no other traffic, just pedestrians to run down. Yes, it is a good looking bus. If only it were a bit cooler, but I'm sure they can fix the air conditioning. I would love to get one one too, we retirees like our lives slow and easy...but if it is hot, then I'd give it a pass. Yes, they'll have to do something to fix the a/c. It'll be a very nice ride if cooler. Interesting. I wouldnt mind riding on one. Slowly and relaxing. But after some time, will it become slow and frustrating? haha. Thanks for commenting, Rose World. i enjoyed the video and your description as well . Glad you enjoyed this post, baili. Thank you for visiting and commenting.